Read the recent judgement of the Supreme Court in the matter of Arjun Gopal and Ors. 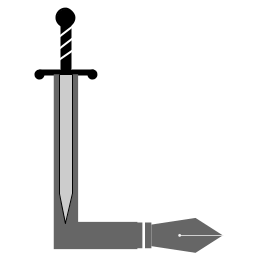 vs. Union of India and Ors. This is the full text of the Judgement of the Supreme Court of India on banning firecrackers and fireworks sale in the Delhi / NCR Region. This entry was posted in Fire Crackers and Explosives, Noise Pollution, Public Interest Litigation on October 10, 2017 by admin. 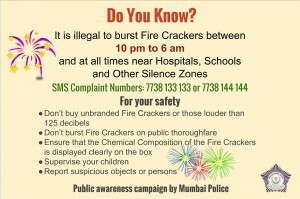 What are the rules for buying Fireworks or Fire Crackers in Mumbai? 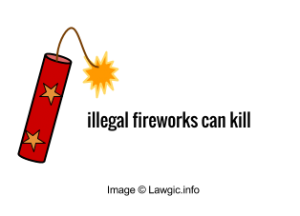 What are the rules for bursting Fire Crackers? Where can I complain about bursting of Fire Crackers on the Road or inside a building? You can complain to the Mumbai Police by dialling 100 or by sending an SMS to 7738133133 / 7738144144. Don’t forget to take photographs on your phone or camera, to show the cops when they come. 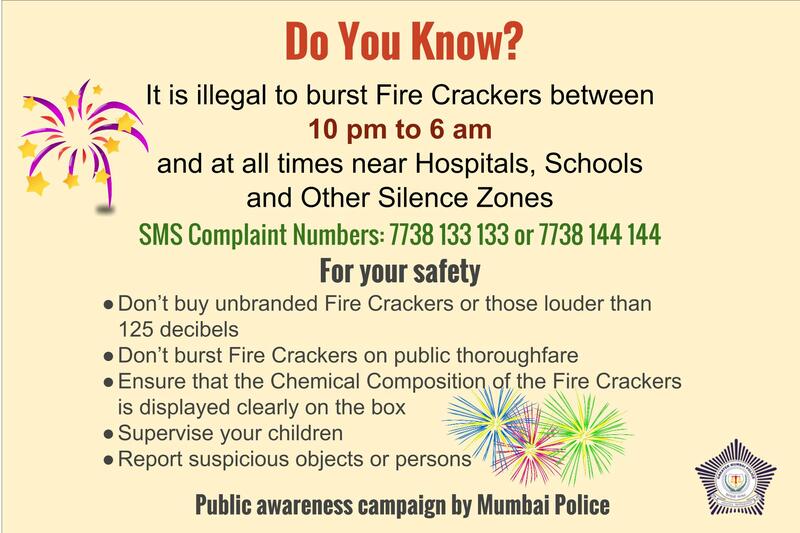 This entry was posted in Fire Crackers and Explosives, Noise Pollution on October 22, 2014 by admin.